Several years back, when I was involved in the textile industry, I was privileged to work with some great people that taught me a lot about the environmental impact of the industry. We discussed at length about what our part was in the system that was polluting the environment, and why it had to change if we were save the planet for future generations. We needed to have a better understanding of how we used and managed resources, natural and economic resources… my introduction to sustainability as it was defined. Later, after the textile industry all but disappeared, I got involved with helping men and women on the margins of our community. What I found was dozens of men and women that were wonderfully talented people who had so much to offer our community. Most of those I got to know shared that personal decisions were the primary factor that led them to a life on the margins of our community. I came to understand that they were living within the confines of a system that was preventing them from participating fully in the local economy. So, in order to identify, develop and restore these talented citizens, I started to ask a different question; “Can we say we are working toward a truly sustainable economy if everyone could not participate?” The answer was a resounding NO! The term “sustainable” had taken on a meaning that was too narrow for me. It left out “people” as a resource to be preserved, harnessed, and developed just like air and water and sunlight. I saw people as a greatly underutilized resource. And besides, why have clean air and water, if not for people to breath and drink? People, human resource, had to be added to the mix when we discuss sustainability. While Sustainable Alamance was founded to help men and women pressed to the edges of our community because of criminal records, what we find ourselves working on is a sustainable community, a community that has learned to harness the resources buried, sometimes deeply, within our citizens. We know that harnessing sunlight can produce electricity, but it takes investment and infrastructure. The same applies when working to harness the power within people. Sustainable Alamance is investing in people, people that are too often forgotten or even thrown away because of a “past”. Just as we should not waste electricity or water, why would we ever want to waste people, the very reason that we want to talk about sustainability. The sustainability dialog MUST be expanded beyond windmills and solar panels. 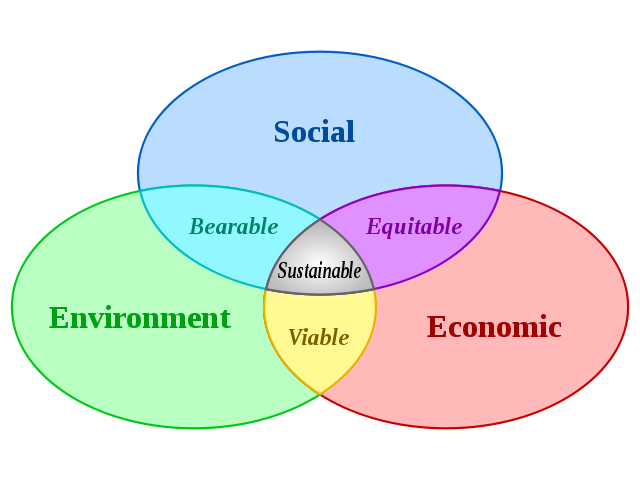 Sustainability is only meaningful when the wise use and development of the human resource is included in the dialog. Sustainability is found where environmental impact intersects with economic and social well being for all. Investing in an underutilized resource, especially human resource, is critical for a truly sustainable community. So, rightly, wrongly, or stubbornly, Sustainable Alamance will, for the time being, hang on to its name. It’s who we are.